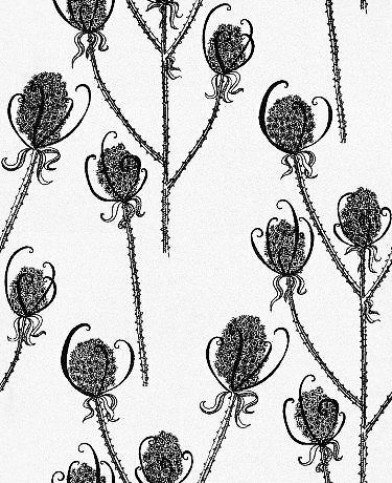 A charming Teasel flower head motif design with a large scale pattern containing tiny intricate detail. Shown in the fresh Magpie black on white colourway. Please request sample for true colour. 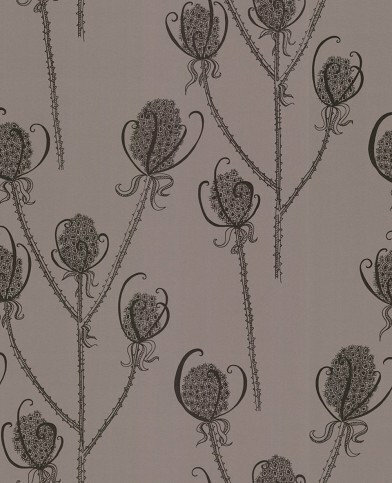 A charming Teasel flower head motif design with a large scale pattern containing tiny intricate detail. Shown in the Cream Tea cream on soft brown colourway. Please request sample for true colour. 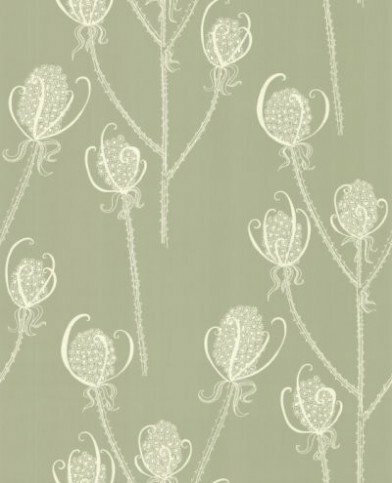 A charming Teasel flower head motif design with a large scale pattern containing tiny intricate detail. Shown in the bolder Reenie black on mink brown colourway. Please request sample for true colour. 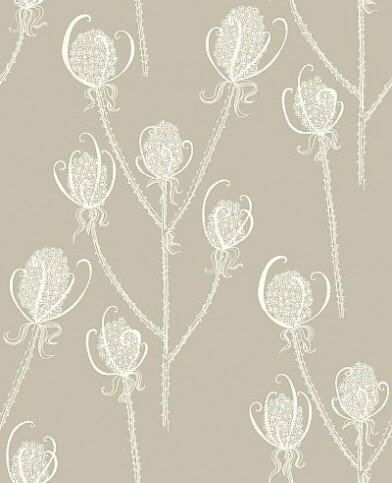 A charming Teasel flower head motif design with a large scale pattern containing tiny intricate detail. Shown in the subtle Shepherd cream on soft green colourway. Please request sample for true colour.